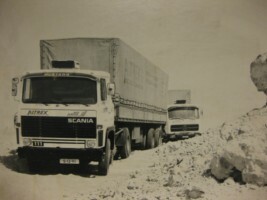 Altrex was founded in 1974 as a result of a demand for regular scheduled road services to the Middle East. The founders Mr. E.J. van Vliet and Mr. J.C. Heij were pioneers in developing the market of these road services and with great success. Full truckloads (FTL) and weekly loose truckload to nearly every destination in the Middle East became reality in The Netherlands. In 1979 the airfreight company Altrex Air was founded as a service for the growing number of rush shipments. In 1984 Altrex and Altrex Air were separated and Mr. Van Vliet continued Altrex Air. As from that time Altrex Air could follow its own vision and strategy as an independent airfreight forwarder to distinguish itself from its competitors. During the eighties family of Mr. Van Vliet joined the company and this became the base for our 100% commitment and personal service in our business. In 2002 André van Vliet took over the duties of his father and became the daily leading person of the company. With new strategies but with the same high level of service to his customers he is ready to challenge the future. Due to increasing ocean freight shipments handled by the organization the name Altrex Air didn’t cover the range of their logistic services. Therefore in 2007 the name was changed in ALTREX AIR & OCEAN. Today’s economies make more and faster changes necessary to survive. ALTREX AIR & OCEAN has proofed to be capable to change without making concessions to our personal service and the quality of our services.